During the summer I bought a die cutter to do applique faster and more easily. I used it a couple of times and put it away because I had trouble getting all the pieces to cut correctly and I had some adhesive that didn’t work well. I decided with Christmas gifts on the horizon I needed to get it out again and see if I could remedy the problems and have some fun. I’ve had mixed success. I had both Heat and Bond and also some Wonder Under which are iron on fusible that act like double stick tape. I also tried some spray on adhesive on the cutting mat rather than the liquid that came with the machine. I also ordered a Christmas die from the Internet as these no longer seem to be available in the area stores. I certainly with they were easier to find because I would certainly buy some more. I found that the machine seems to prefer the Wonder Under so I just bought more of that. 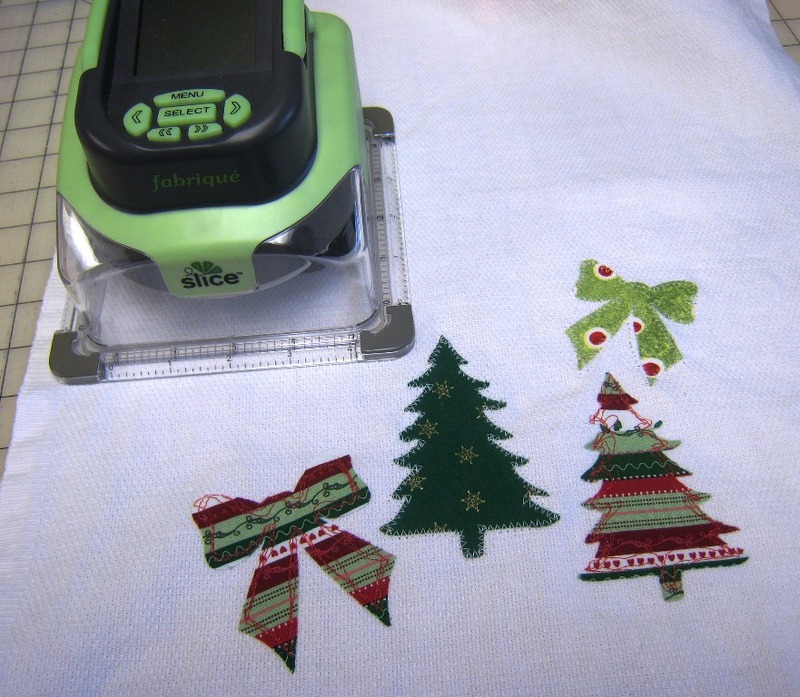 I also realized that because this machine will cut paper for scrapbooking as well as fabric, that some of the cuts are not easily stitched around due to the intricacies and the fine detail. This has led to some experimentation with the applique. Instead of a solid applique stitch I’ve done some regular zig zag and also some of the machine stitches that look like hand stitching. 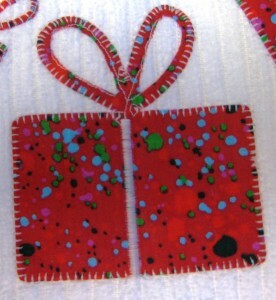 I also tried a free form straight stitch that loosely follows the outline of the applique. This seems to be a very popular style right now. I’m looking forward to trying some more. Weekend.. here we come!